During the NHL All-Star weekend at the end of January, representatives from the National Hockey League and Huggies announced “Hockey for Huggies“, a partnership that would produce diaper drives in all 30 NHL markets during the month of February. 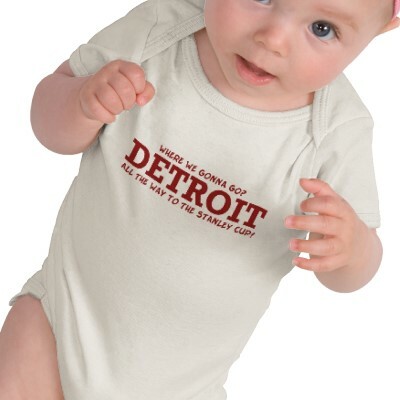 The Detroit Red Wings designated The Detroit Area Diaper Bank as its recipient charity! The original NHL press release can be read here. You do not have to have tickets to the game to participate/help! 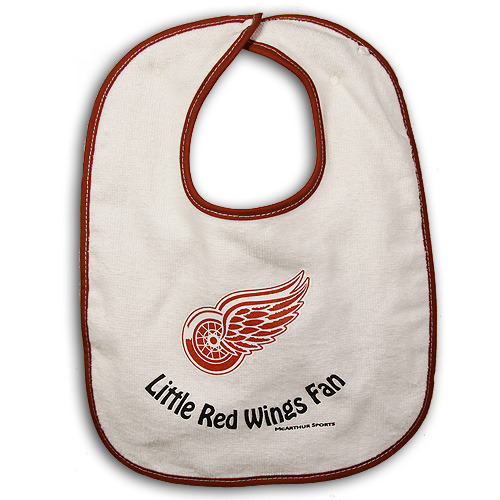 They have set up a very easy text-to-donate campaign to go along with Hockey for Huggies – so anyone can simply text WINGS or REDWINGS to 501501 to make a $5 donation and it will benefit the Detroit Area Diaper Bank. The text-to-donate campaign lasts all month, so you can donate today or any day through 2/28! Again, it’s guaranteed you’ll win something! And you can play once for every donation – so if you bring 2 packs of diapers or donate $20, you can play Plinko twice and will definitely walk away with 2 prizes! 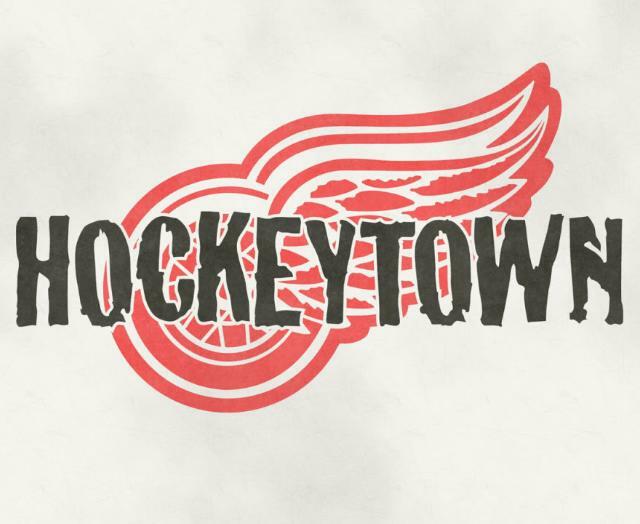 We’re very excited about this event and thrilled to be working with the Red Wings on this great initiative. Be sure to come by and see us if you’re at the Joe next Thursday, bring some diapers or a donation to do good and have fun, and please remember to text WINGS to 501501 to donate $5 anytime through the end of the month. And please spread the word! 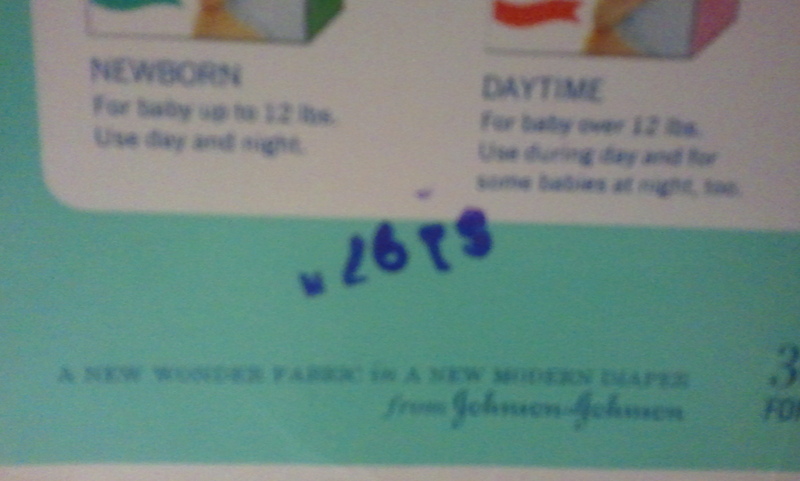 Awesome diaper donation takes us on a trip in the way-back machine! We’ve received a lot of great donations so I hate to qualify one donation as “greater” than any other, but really, I love this donation. 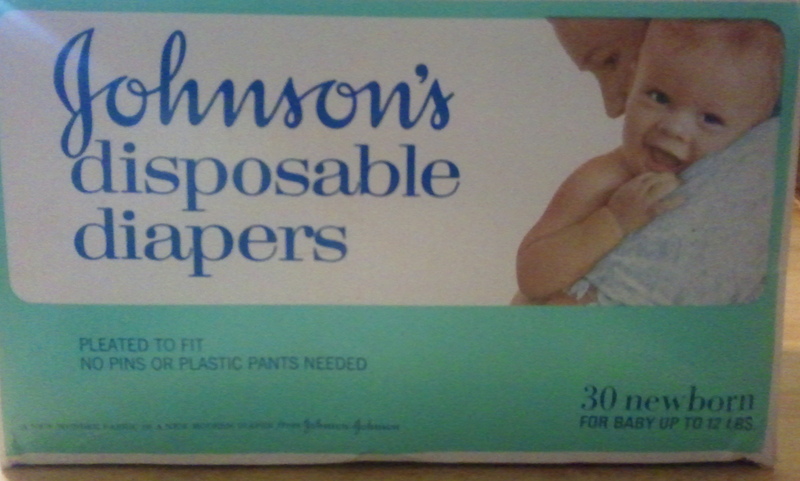 The other day, our great volunteer Bruce Will brought the diapers he picked up from a donation bin in Oakland County, and included in that load were two COMPLETELY SEALED, ORIGINAL early 70s (from best guess and comparable boxes found on the internet) boxes of Johnson’s disposable diapers. 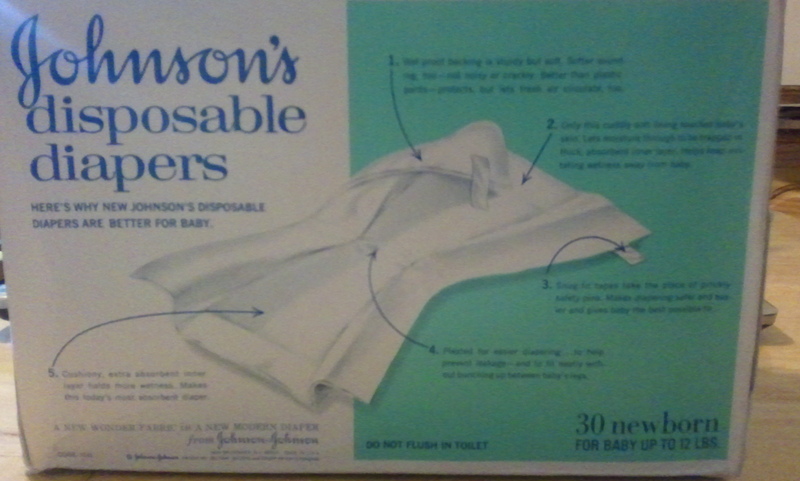 Johnson’s introduced the disposable diaper to America and first added tape tabs in place of pins or external tape. 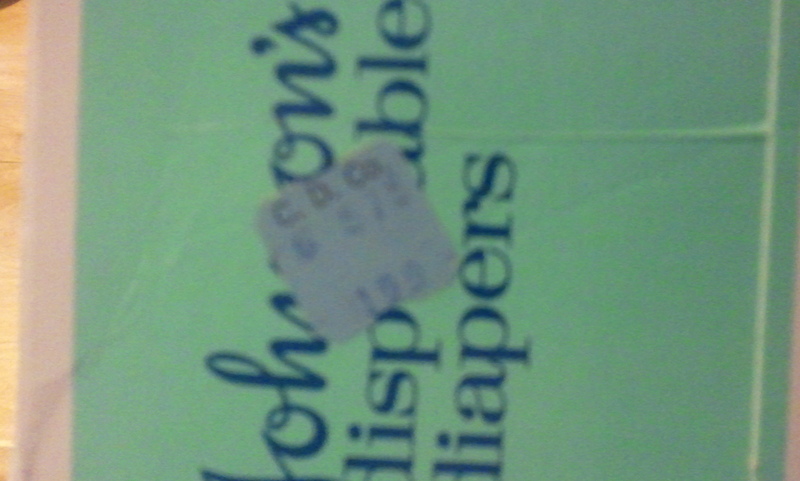 Johnson’s stopped producing diapers under their name in the States in 1981. 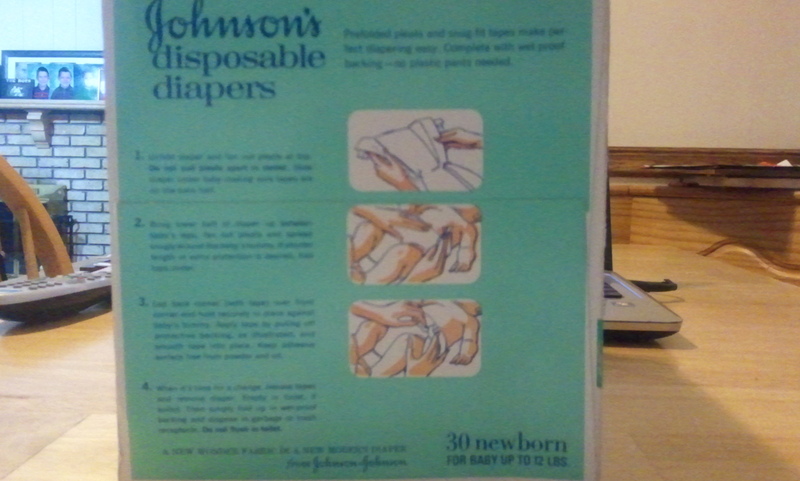 (in trying to find out more about these boxes, I found all kinds of sources of history on disposable diapers and ended up learning even more than I ever thought I could know about our friend the diaper). 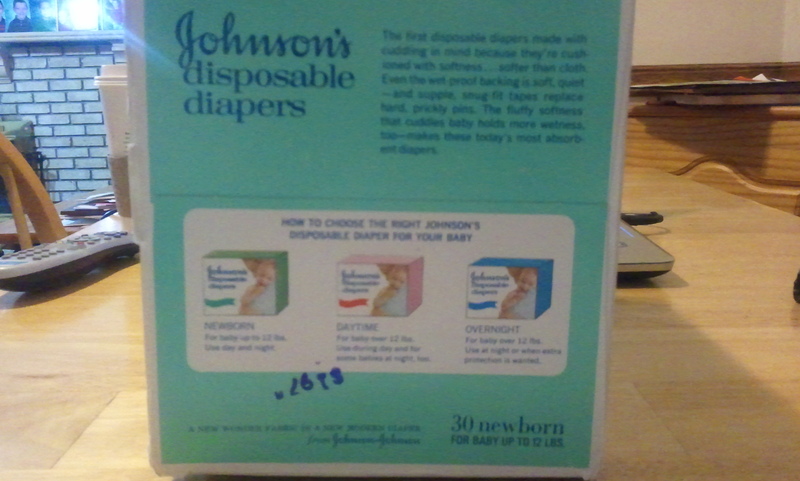 But take a look at these great vintage boxes of diapers, and they’re in such great shape! I love this line, printed on every side of the box: “A new wonder fabric in a new modern diaper”: And did you catch that stamp on the box? That’s a price stamp – that’s right, $1.97. The other box has this price tag on it, $1.99. If the person who donated these happens to read this, I just want to say THANK YOU – I really, really value these donations. Because of their age, they’re really not suitable to pass on for use, but I promise to take good care of them. I’m thinking I’ll make them kind of “mascots” for the Diaper Bank. Maybe even start collecting other memorabilia (I found a LOT on the internet when I was researching — who knew??) — hey, some day, perhaps we’ll open a disposable diaper museum alongside the Diaper Bank. They really are an interesting piece of history – they give us a sense of where we started on the journey of disposable diapers and an appreciation of how far we’ve come. Thanks again to the donor, I think these are really special and I’m happy to have them — I promise to find a place of honor to keep and display them!